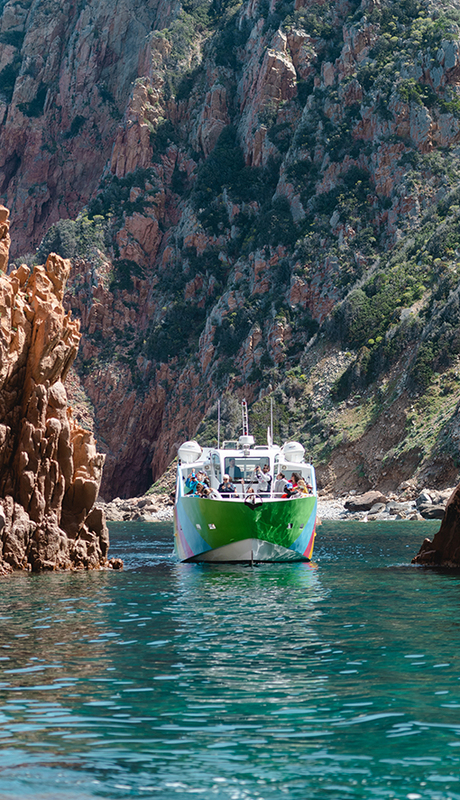 The Corsican company Via Mare and its crew wishes you the welcome aboard its hybrid boats. Let yourself be carried away from Porto Ota join the magic of landscapes, between beach and mountain, to live unforgettable moments. 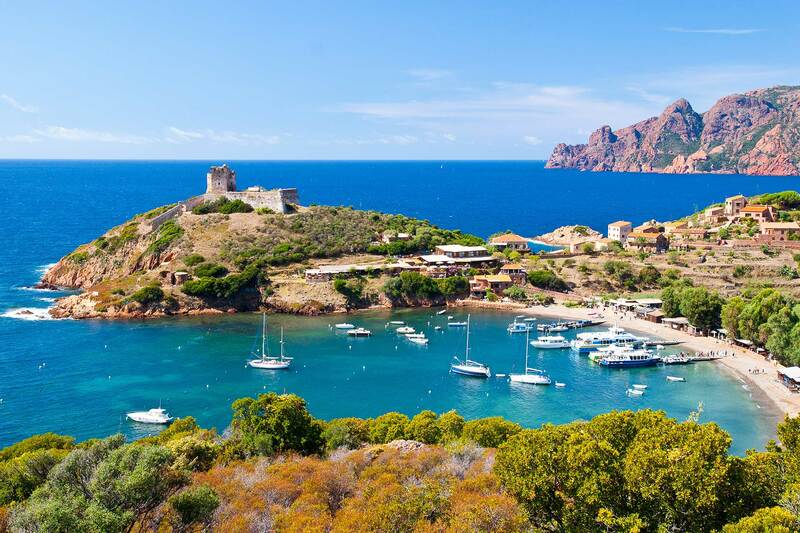 An excursion in the turquoise waters of the Calanche de Piana and Capo Rosso and their impressive panoramas, or in the nature reserve of Scandola and its idyllic village of Girolata. 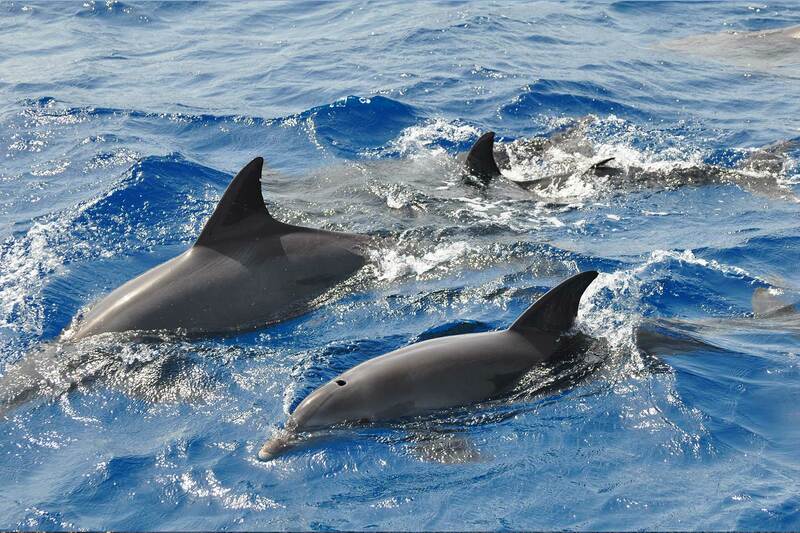 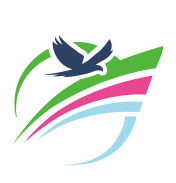 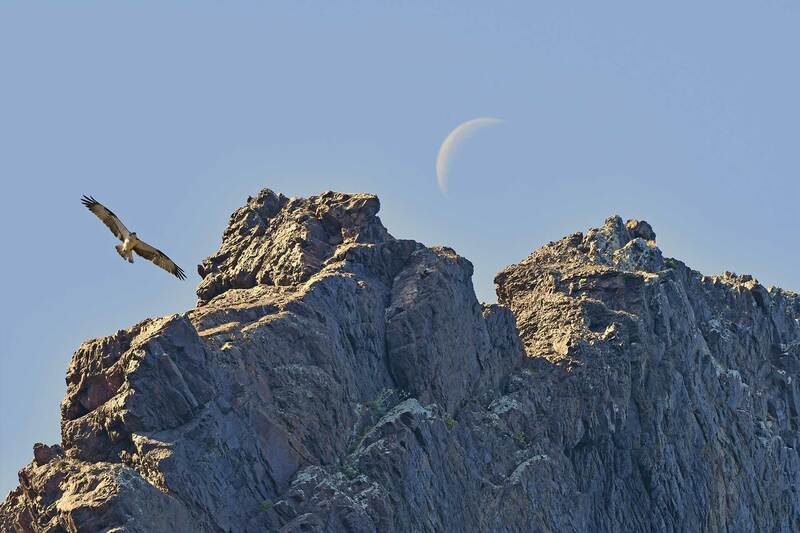 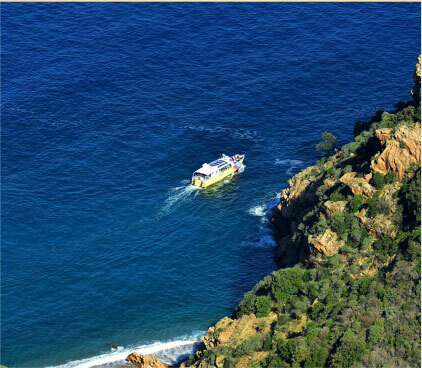 We will show you some of the most beautiful wild and protected areas of the Island of Beauty. 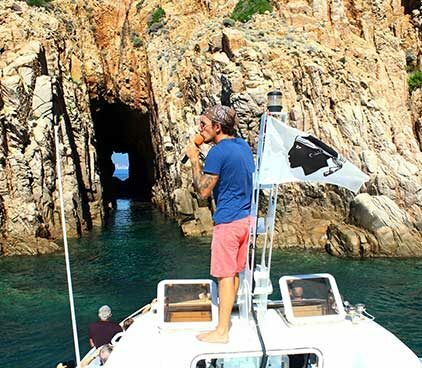 The pleasure of discovering all the wonders of the Gulf of Porto. 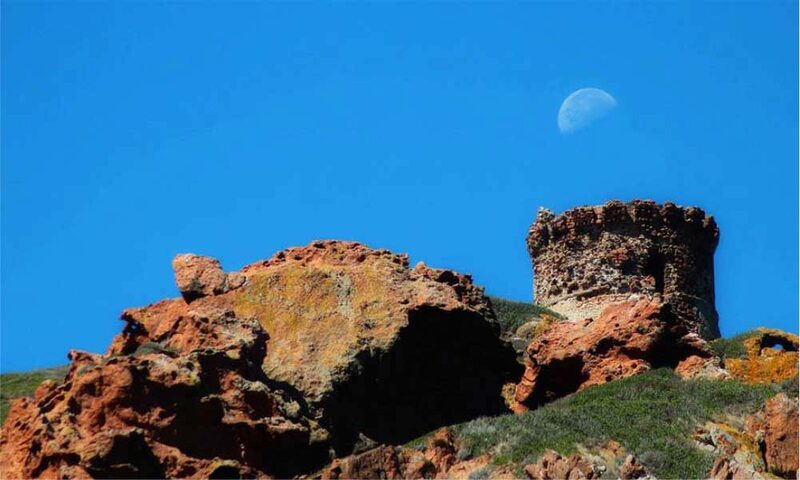 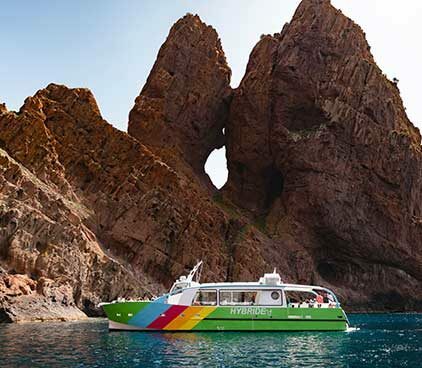 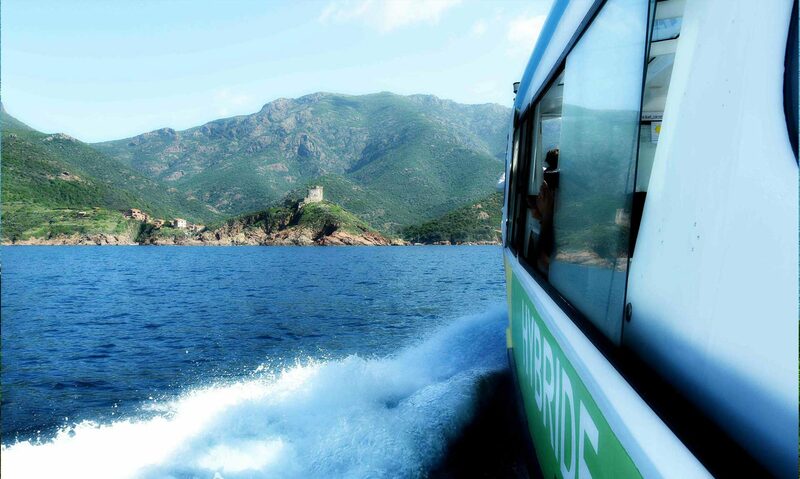 Embark with us to discover the nature reserve of Scandola and the typical village of Girolata. 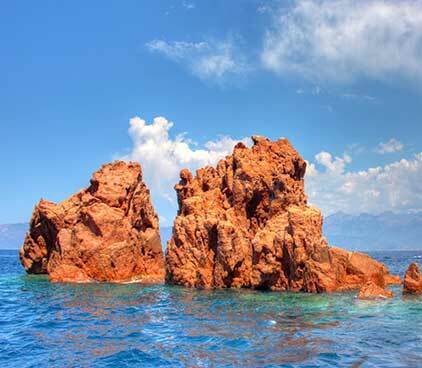 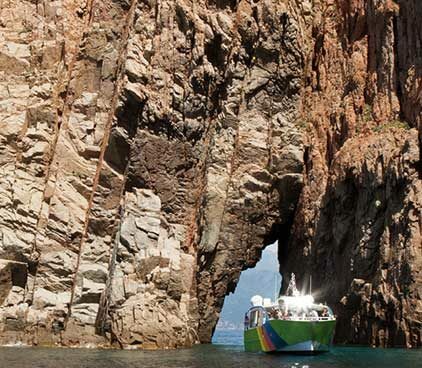 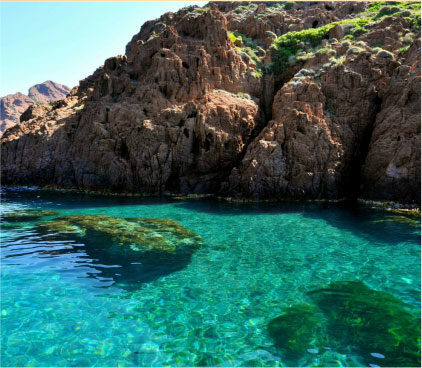 We will then sail to the Calanche de Piana and Capo Rosso, composed of beautiful colored rocks. 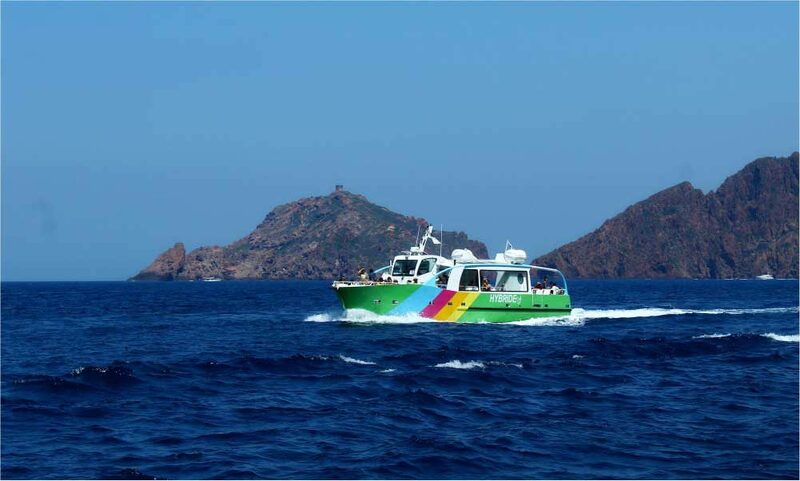  Discovering the marine and terrestrial heritage. 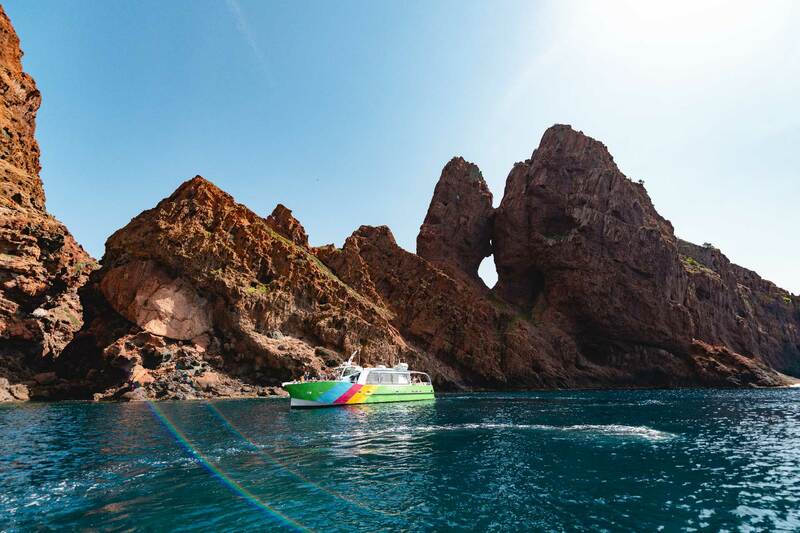 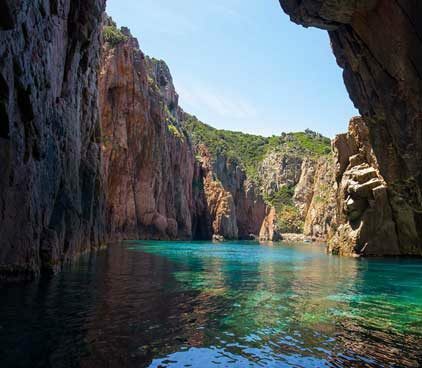 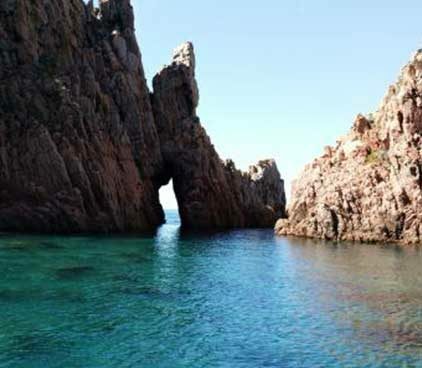 The Scandola nature neserve, a UNESCO World Heritage Site, offers you an impressive discovery: splendid landscapes composed of caves, faults, turquoise waters and a rich and varied vegetation. 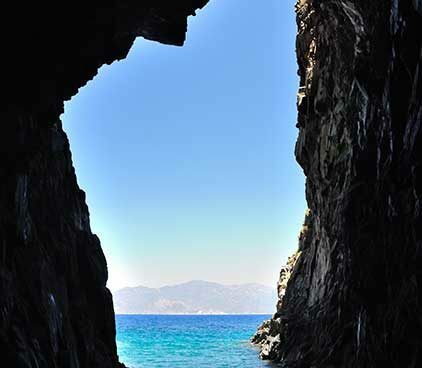 A unique perspective on the beauty of the coastline. 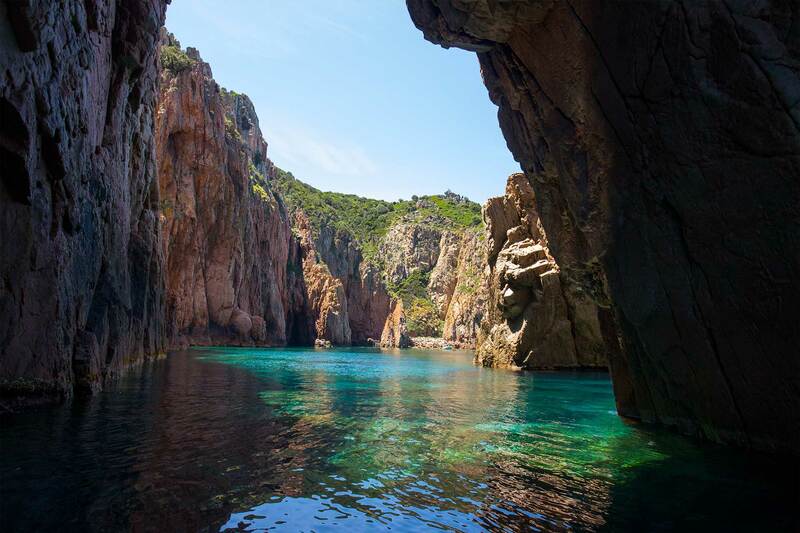 Embark on a ride to the Calnche de Piana, a geological formation of granitic rocks. 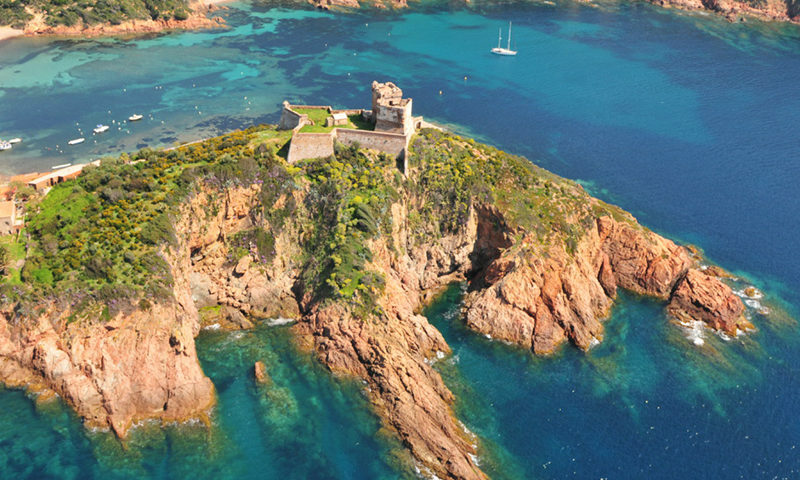 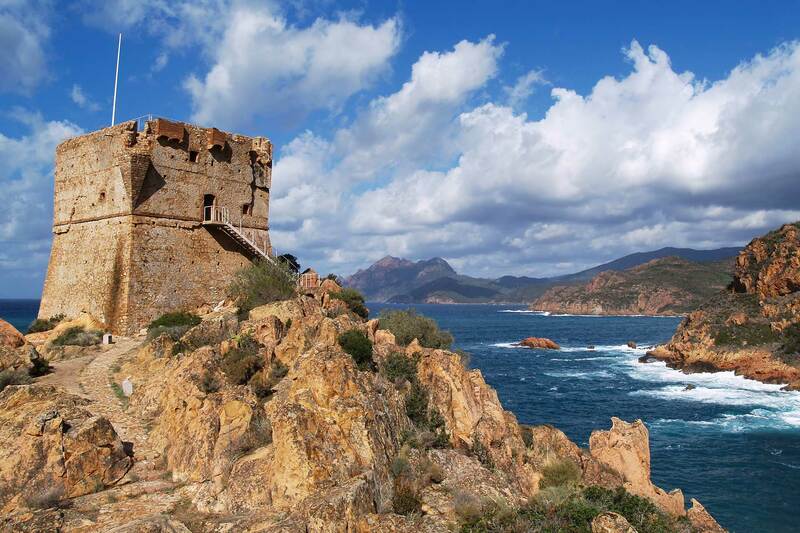 We will then take you to Capo Rosso, composed of pink granite, whose summit rises to 331 meters above sea level.